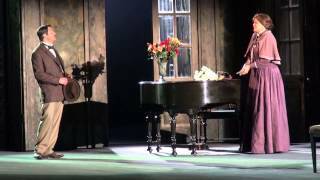 After starring in the Metropolitan Opera’s Merry Widow, Susan Graham visits the Boston Symphony Orchestra, with whom she performs Mahler’s Third Symphony. Andris Nelsons conducts Mahler’s momentous work, with Graham and the BSO joined by the Women of the Tanglewood Festival Chorus and Children’s Chorus. Click here for ticket and program information. This December and January, Susan Graham returns to the Metropolitan Opera to reprise her account of the title character in Susan Stroman’s staging of Lehár’s The Merry Widow. Susan stars as the glamorous and desirable Parisian widow Hanna Glawari – she leads with Andriana Chuchman as Valencienne, Paul Groves as Danilo, Sir Thomas Allen as Baron Mirko Zeta, and David Portillo and Taylor Stayton as Camille de Rosillon. Susan celebrated the 25th anniversary of her Met debut last season, as one of three honorees – together with Ben Heppner and Deborah Voigt – at the Metropolitan Opera Guild’s 82nd Annual Luncheon. She also helped celebrate the Met’s own 50th anniversary at Lincoln Center, in company with other great exponents of the genre from around the world. Susan performs in The Merry Widow on December 14, 16, 20, 23, 27 & 30, 2017, and January 2, 5 & 11, 2018. On October 26-28, Susan Graham appears at Boston Symphony Hall, where she appears onstage with Charles Dutoit and the BSO for Berlioz’s La Damnation de Faust. As Marguerite, she is joined by tenor Paul Groves as Faust, baritone David Kravitz as Brander, and bass-baritone John Relyea. 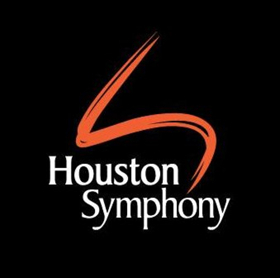 “I’m so sorry that this concert cannot happen; I was so looking forward to opening the Symphony Season – and I know that my disappointment is nothing compared to the traumas and tragedies in Houston at the moment.